If you're looking to join a fast growing SaaS business with plenty of opportunities to grow and develop then you're in the right place! Our culture allows the freedom of creativity, autonomy and responsibility. If you're looking for a place where your opinion matters with the support to reach your goals, accessplanit is the place for you! Watch the video below to see what it's like to be part of the team! We are curious, open minded and enjoy seeking ways to learn and improve, have a thirst for knowledge and are passionate about being the best we can be. We get things done, whatever it takes, we take pride in our work, we have a can-do attitude and we take responsibility for our actions, results and mistakes. We don’t want an easy ride, we stay calm and level headed, we don’t get down when we hit a set back and we succeed because we keep on trying and don't quit. We are team players, we're humble, there’s no ego, no attitude, we care about our colleagues and our product and we're passionate about helping our customers. Our culture allows the freedom of creativity, autonomy and responsibility. If you're looking for a place where your opinion matters with the support to reach your goals, accessplanit is the place for you. Values Champion awards - get rewarded for being the best you! "Amazing people, innovative environment, space for growing and developing skills." "The culture and values are better than anywhere I have ever worked and are actually enacted by the management team (not the case for a lot of places!)." "One of the company values is "No Ars*holes" which says it at all!" "The best thing about working at accessplanit though is the same thing is has always been, the people, accessplanit have a habit of hiring great individuals who are a pleasure to be around. No one is out for themselves and this means that there is such a great atmosphere and culture. I'm lucky to work here :)"
"Flexible, focused on the business and the people, continuous focus on personal development, friendly environment, an obvious investment back in the working environment." "Everyone is treated like an adult and trusted to do their work without micromanagement." "Our views and opinions are heard. 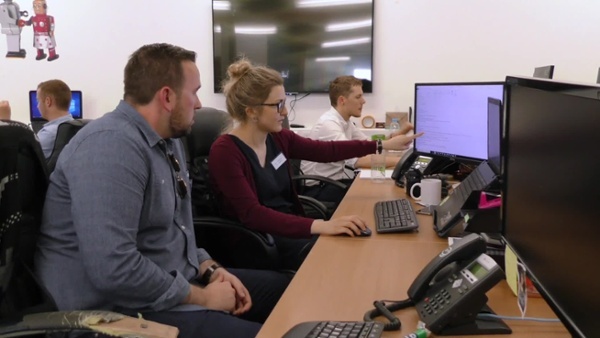 Whether it is having a paid day off to work for local charity's or being able to transform the current pool table into a ping pong table - all views are heard and discussed fairly."